Today, the Drexel School of Education's mission goes well beyond teacher training. We offer bachelor's, master's graduate and doctoral education degrees and a wide variety of certificate, certification and professional development programs to meet the needs of educators and educational administrators. 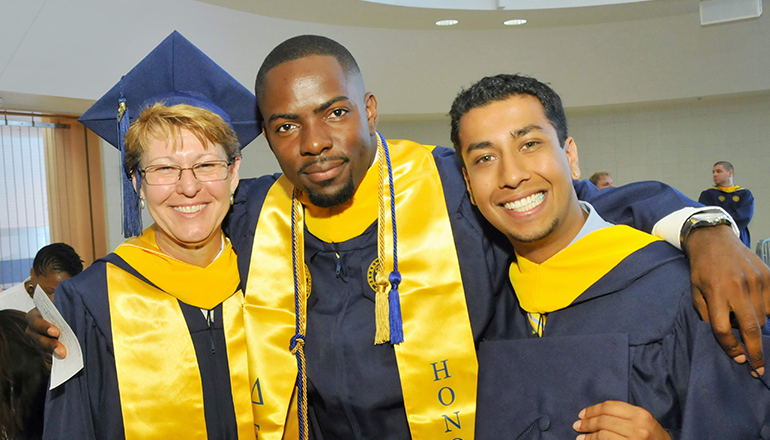 Here are some of our student success stories from the Drexel School of Education. I was offered the opportunity to do my co-operative experience in the Spring/Summer cycle of the year 2016. I am the first student to begin this program at the School of Education and have received funding from donors that are working with the school. It is not uncommon for me to get puzzled looks from freshmen, family members, and friends when I say I go to Drexel University to major in Secondary Education. I chose Drexel because of the School of Education’s small size, in order to gain insight on how urban education affects students learning, and of course be in the city of Philadelphia. The School of Education offers unique events focused on critical education issues. This series takes place in the fall and spring and is intended to create a space for Drexel and Philadelphia communities to have ongoing dialog related to education in urban settings. The Dean's Lecture Series brings key stakeholders in education and leadership to Drexel for informative presentations for students, faculty, and staff. On the first Friday of each month during the academic year, one PhD in Education student and one EdD in Educational Leadership and Management student presents their dissertation research to their peers. The colloquiums are hosted online and on-campus at the School of Education.